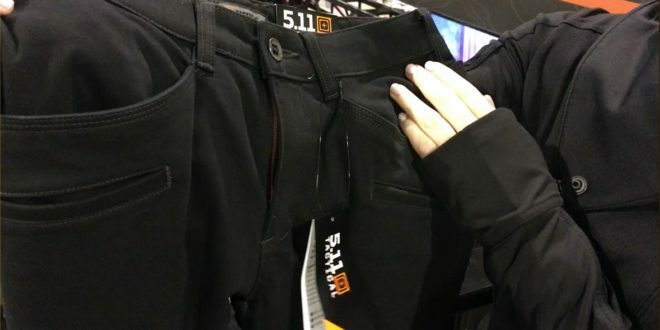 5.11 Tactical Wyldcat (pronounced ‘Wildcat’) Pant: Super-Comfy, Lightweight, Stretchy and Fashionable Combat/Tactical Shooting Range Pants with Rifle Mag (Magazine) Pockets and Side-Leg Zipper Gussets! (Video!) | DefenseReview.com (DR): An online tactical technology and military defense technology magazine with particular focus on the latest and greatest tactical firearms news (tactical gun news), tactical gear news and tactical shooting news. 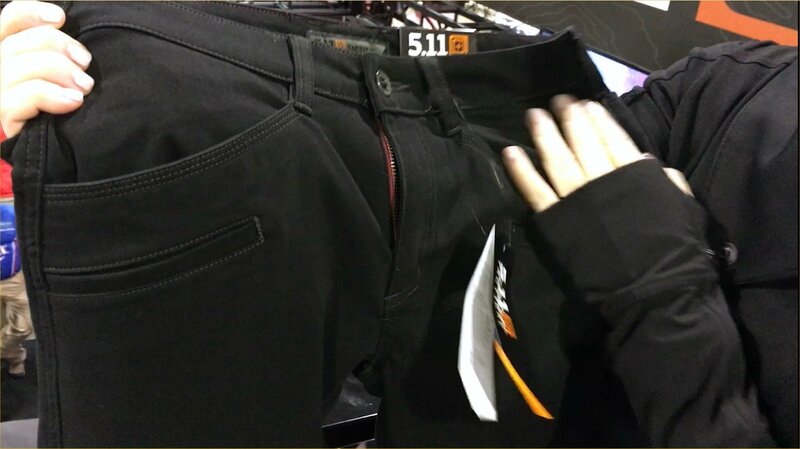 Fashionable woman’s combat/tactical pants are becoming pretty big now, so DefenseReview (DR) would be highly remiss if we didn’t discuss the new 5.11 Tactical Wyldcat (pronounced “wildcat”) Pant while we’re on our latest 5.11 Tactical pants kick (see here and here). 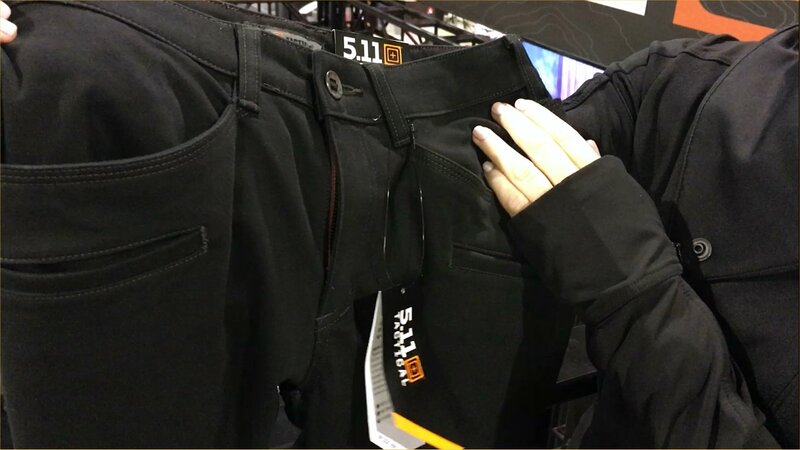 The new Wyldcat Pant, shown to DR by 5.11 Tactical rep Meghan Finley at SHOT Show 2017, is impressive in its design features, to say the least. This is definitely one very feature-rich pant. Good looks, check. Super-comfy lightweight, stretchy fabric, check. Loads of pockets, including rifle mag-capable pockets, check. Double-reinforced knees, check. Side-leg zipper gusset to go boot-cut, check! 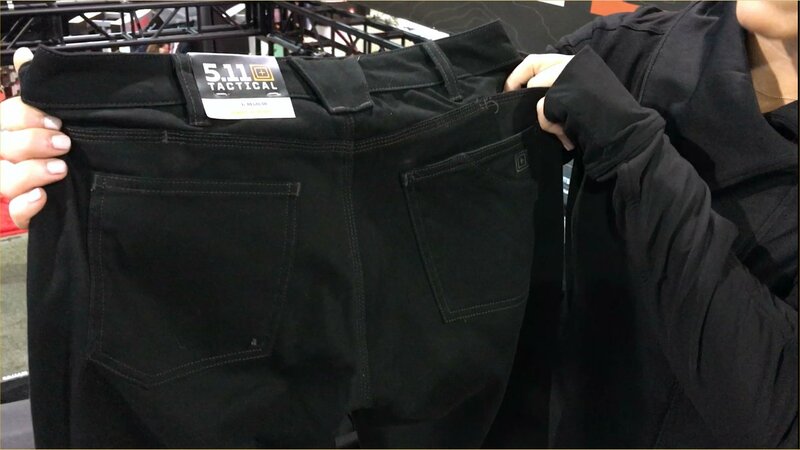 The 5.11 Tactical Wyldcat Pant essentially leverages the 5.11 Tactical Raven Range Tight “tactical yoga pant” fabric tech and concept (see the later also in the video below) and “takes it a step further” (or several steps further to create a highly practical 8-pocket stretch pant that gives female shooters the whole package in a combat/tactical shooting pant for a full day (or days, plural) at the range. Finley told DR that the Wildcat Pant’s “stretch-satine” fabric is “really durable” and “extremely soft”. 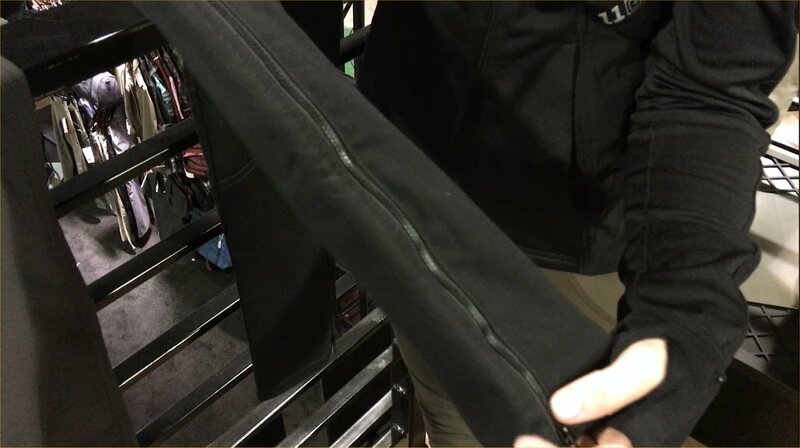 Regarding the Wyldcat Pant’s pockets, DR particularly liked the two integrated hidden rear pockets that can fit 5.56mm/300 Blackout (300BLK) rifle mags. 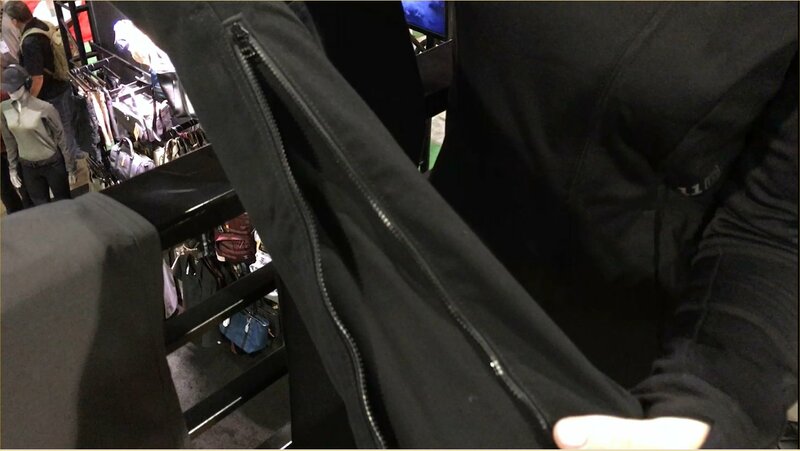 Those are a particularly nice feature, although all the pockets on the Wyldcat Pant appear to be well designed, as do the reinforced belt loops. The Wyldcat Pant’s double-reinforced knees, designed for specifically for dynamic shooting from a kneeling position are of course another nice touch, but the piece de resistance. and Finley’s favorite feature, is the side-leg zip gusset on both legs (calf section) for opening the bottom of the pant leg up, to create a boot leg. Fashionable AND functional. According to Finley, the 5.11 Tactical Wyldcat Pant will be available starting this month (May, 2017) in Black, Khaki and Grenade Green (love that last color name) for only $74.99 USD, so hit the 5.11 Tactical website to buy a pair (or two, or all three). They’re pretty sweet. 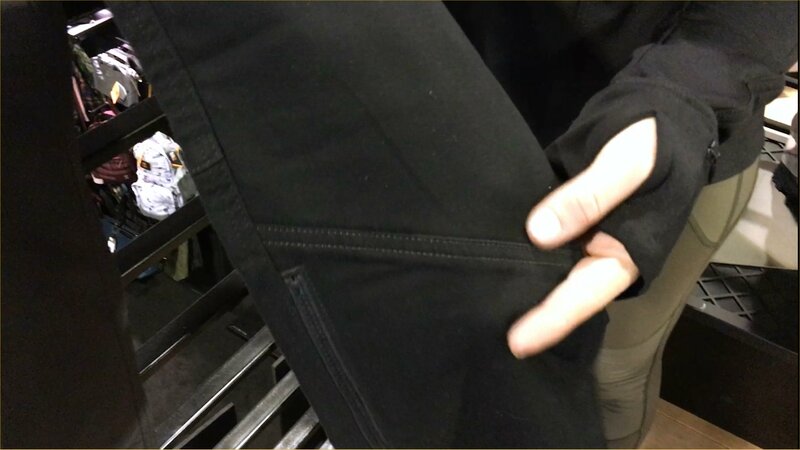 Previous: 5.11 Tactical FAST-TAC Urban Pant and FAST-TAC Cargo Pant: Ultra-Lightweight, Packable Ripstop-Fabric Combat/Tactical Pants for Concealed Carry, and Combat/Tactical Shooting and Ops!